Today I learned two botany lessons. The first lesson came from a veteran farmer. He told me that the first root developed by every plant points north! He said that if, when that plant is transplanted, it is placed in the ground in a manner that deviates from the original orientation, the plant behaves as if it is disoriented throughout its life. Such a minor modification of the plant’s inherent mode of operation causes stress. We humans may be clever. We certainly are willful. Nonetheless, he insisted, plants are most likely to thrive if their care-givers yield to the plant’s own ways of conducting the affairs of its life: growing, resisting blight, managing insects, utilizing nutrients, blooming, etc. 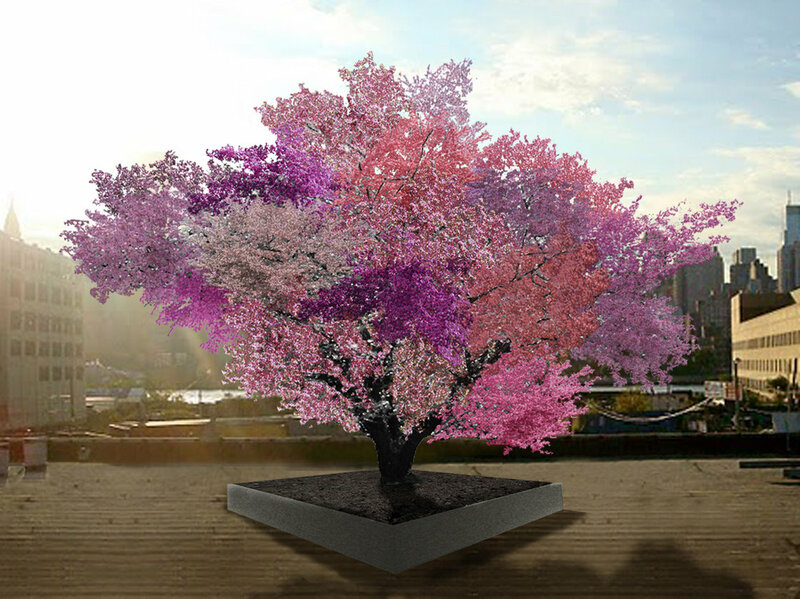 The other botany news was a featured report on NPR that Van Aken, a New York artist, planned to graft 40 different fruits on a single tree as a work of art. Further evidence that this story was considered ‘newsworthy’ is that six different friends forwarded it to me. The regimen Aken is imposing upon a single tree involves 40 independent blossoming, pollinating, and ripening cycles. Shall we beg for mercy on behalf of the tree before it confronts this ordeal? While it is enduring this physical abuse, it is also suffering from the indignity of being deemed ‘not good enough’. Single-fruited trees have been honored as supreme wonders since the beginning of time. They enjoyed this status without performing contorted tricks of grafting and high jinx modes of products. Such a tree, should it come to exist, is destined for the freak show of human-contrived aberrations. Aken may become acclaimed for this dazzling accomplishment, but like so many human ambitions, this one seems destined to entail exploitation.